They say leather never goes out of style. Today I have the privilege of showing you a jacket that proves this to be true. Not only is the Beckett Simonon Atlas Biker Jacket a well made, highly functional leather good, but it also pays homage to one of the most classic motorcycle jacket styles. 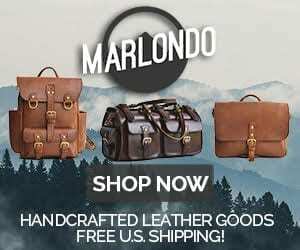 Beckett Simonon is a relatively young company with a fairly unique business plan: they don’t keep any items in stock. That may seem like a bad thing at first thought, but it has its advantages. Not only does that mean your product was made specifically for you, it also means cost can be kept as low as possible. Keeping a large stock of items is a lot of overhead cost for a company, which drives up prices. Instead, Beckett Simonon does limited-time campaigns of product pre-orders. Every item is made to order and sent out after the campaign ends. You may wait a bit longer (the current Atlas campaign, which ends this month, will deliver in December), but you’ll get a high end product at a great price made just for you. Beckett Simonon is dedicated to ethical sourcing of materials and labor. They maintain tight control of their supply chain and manufacture mainly through family owned-and-operated operations. The Atlas outer is made in Colombia with full grain calfskin leather. The jacket and pockets are closed with smooth YKK zippers. The jacket is lined with a cotton material around the body and a more polyester type material in the sleeves. I haven’t owned the Atlas very long, but have yet to find any issues at all. I’ve gone over nearly every inch of the Atlas and pushed its limits through use. This leather is soft and beautiful, and strong enough to prevent minor road rash in case of an incident. Stitching is discrete and well done. This jacket is well put together with quality materials. Around a week ago, Utah decided autumn is overrated and decided to skip right to winter. Thankfully, the Atlas showed up on my doorstep about the same time. This is a nice warm jacket! 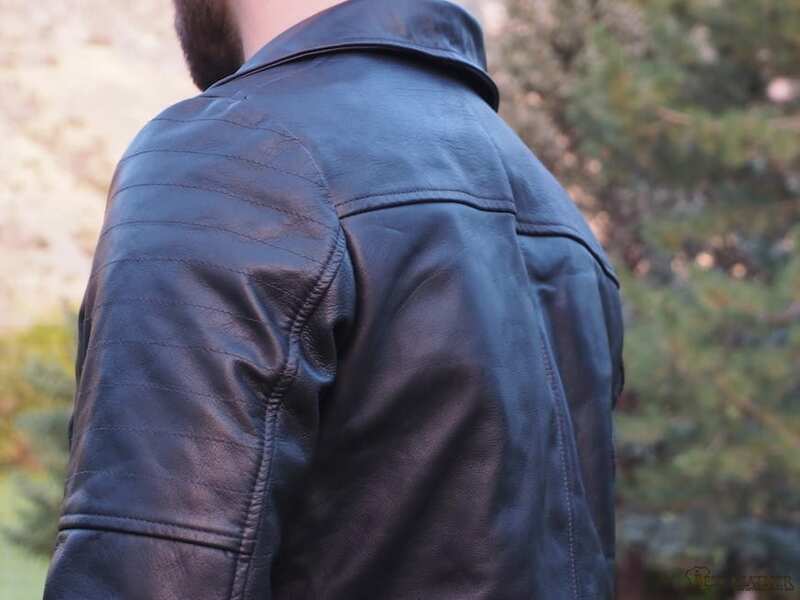 Leather is impressively good at blocking the wind and keeping your heat near your body without feeling stuffy. A zipper at the end of the sleeves, the full-length chest zipper, tall collar, and buckles at the waist allow you to tighten up the jacket at the entrances to minimize heat loss. These features are crucial for cold motorcycle rides. Three outer zippered pockets and a pair of inner pockets give lots of places to keep small items and warm hands. If you’re a fan of the classic biker jacket look but feel they can be a bit cluttered visually, look no further. I’m a huge fan of the balance the Atlas has struck here. Typical motorcycle jackets have several additional buttons, straps and other features that can be handy but also leave the jacket somewhat “loud” aesthetically. The Atlas has critical features for staying warm and stowing items, but is otherwise minimal. There’s a balance of the rugged, pointed collar leather biker jacket and the classic, incomparable classy leather jacket. It’s a really well found middle ground leaving you feeling fashionable but not left wanting for function. I chuckled to myself when I first saw the Atlas. The look is an homage to classic biker jackets. I wear my father’s 1960’s Harley Davidson leather jacket, and the Atlas could be its modern day twin. There’s certainly differences, dad’s jacket leaning more towards the utilitarian, but the feel is definitely the same. 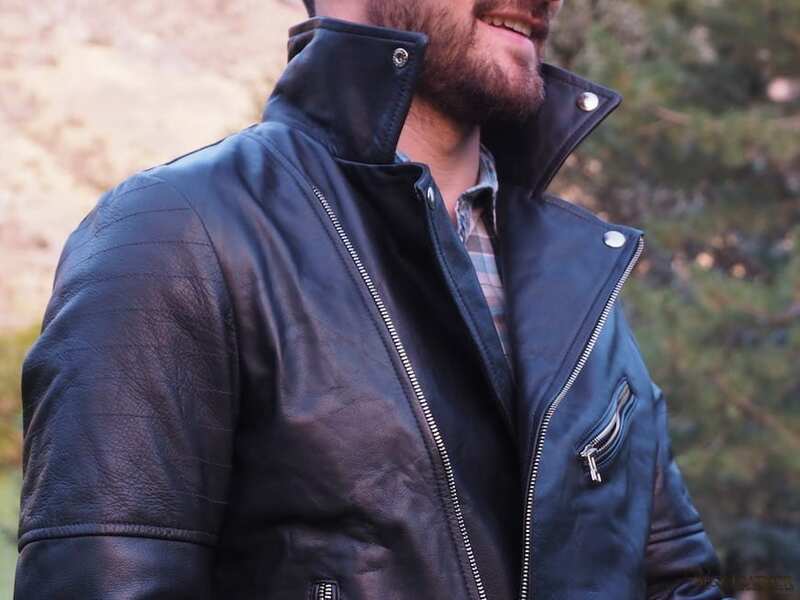 I’m happy to have a jacket that reminds me of dad’s killer old Harley jacket, but is modernized enough to be more comfortable–in both the social and physical sense! Like father like son, I guess. I haven’t been able to spend as much time with the Beckett Simonon Atlas Biker Jacket as I would like, but I’m very excited to continue to use it moving forward. So far this jacket has kept me feeling stylish, comfortable, and warm in the Utah premature-winter weather. Quality leather, good other materials, and superb construction will help this jacket last for many years to come. The price is high compared to jackets and coats made with lesser quality materials, but is on the low end for top notch leather. Beckett Simonon is a company dedicated to ethics and quality products at a reasonable price. Make sure to swing by their online shop today–the Atlas jacket’s limited campaign is over at the end of this month! 2 Comments on "Beckett Simonon Atlas Biker Jacket First Impressions – $379"